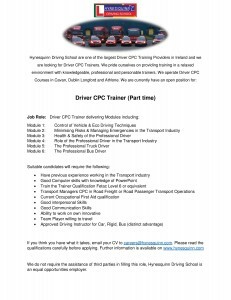 Ever fancied a career in the Driver Training Industry? Well we have the Job to suit you. 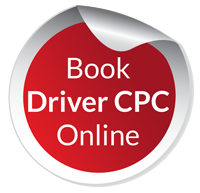 We have grown from small begins and are now one of Ireland’s Largest Driving Schools. Enjoy working in a team environment but have the ability to work on your own initative then we want to hear from you. 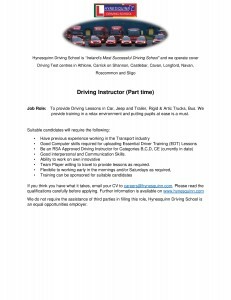 Copyright © 2004 - 2019 HynesQuinn Driving School.